Hi, this is Brent White. 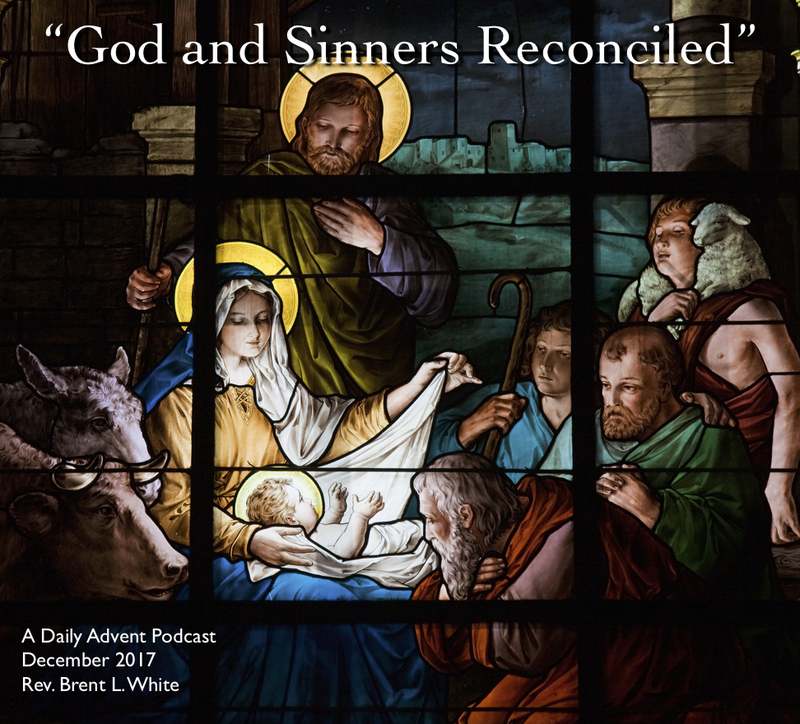 It’s December 12, 2017, and you’re listening to Day 10 of my series of Advent podcasts. I want to read just two verses today: Matthew 1:18 and 19. You’re listening to a modern Christmas song—the only song I know of that’s told from Joseph’s perspective—it’s called “Joseph, Who Understood.” It’s written and performed by a mostly Canadian band featuring incredibly talented singers and songwriters such as A.C. Newman, Neko Case—she’s the American in the group—and Kathryn Calder. Among the band’s many virtues is their wonderful harmony singing! Anyway, I love this song in part because it’s very honest about how Mary’s fiancé Joseph must have felt after Mary broke the news to him that she was pregnant, and Joseph wasn’t the father—but let me explain! The angel Gabriel came to me, and he told me… Can you imagine how difficult that conversation must have been? Never before in human history had a woman gotten pregnant without the involvement of a human father. Joseph knew that! As much as he may have wanted to believe the woman he loved—as much as he may have wanted to believe that his dreams weren’t crashing down before his eyes—let’s face facts—there was a more likely explanation for Mary’s pregnancy… Like, you know… she cheated on him with another man! Joseph’s refusal, at first, to believe Mary puts the lie to this modern prejudice which says that ancient people were very naive, gullible, superstitious—only too willing to believe in fantastical stories about virgin births. For example, sometimes you’ll hear skeptics and atheists—often with smart-sounding Oxford English accents—deny the virgin birth by telling you that ancient people didn’t understand how people got pregnant. This is nonsense, of course. If you doubt it, check out Genesis 38—especially the part about Onan, and his unwillingness to have a child with his former sister-in-law, Tamar. That story ought to make clear that while ancient people didn’t have access to all the biological information with which modern science furnishes us, they knew the facts of life as well as any of us! Joseph knew that women didn’t get pregnant without human fathers! Which is why he wanted to break off the engagement! Also, if ancient people were so gullible—so credulous, so eager to believe in miracles—wouldn’t Joseph, a sincerely religious, faithful, God-fearing man be the ideal candidate for accepting Mary’s story about the angel Gabriel appearing to her and telling her about a miraculous conception by the power of the Holy Spirit? Yet… he doesn’t. Why? Maybe because ancient people aren’t nearly so different from us as we think! Besides, there are hints in the gospel that people from Jesus’ hometown of Nazareth had heard about a virgin birth—but didn’t believe it. Mark 6:3: “Is not this the carpenter,” they say, “the son of Mary and brother of James and Joses and Judas and Simon?” The son of Mary… Very unusual way to refer to a Jewish man living in the first century. Even if his father were dead at this point in Jesus’ life—as Joseph was—Jesus should have been referred to as the son of Joseph—unless… Jesus’ townspeople didn’t accept the story about a virgin birth and believed Jesus was illegitimate. Also, see John 8: Jesus is having a heated argument with the Pharisees, implying in verse 38 that their father is Satan, not Abraham. They respond, in verse 41, saying, “We were not born of sexual immorality”—what a strange thing to say? Had they heard about the alleged virgin birth? If so, they clearly didn’t believe it. And why wouldn’t they believe it—if ancient people were so gullible and eager to believe in the supernatural. You get the idea… People in the first century weren’t gullible, and they knew the facts of life. It’s not like skeptics in the first century were saying, “I’m not going to believe that Jesus is God’s Son unless he’s born of a virgin!” On the contrary, the virgin birth would likely make many skeptics even more skeptical, not less. So why would Matthew and Luke include a story of the virgin birth in their gospels, when they knew that many people would reject the idea? Because Matthew and Luke also happened to believe it was true… and they were committed to telling the truth, regardless of how difficult it was for skeptics, both ancient and modern, to believe. What does it mean that he’s a just man? It means that he knows the child isn’t his; the just and righteous thing to do would be for Joseph to step aside—by breaking off the engagement—and allow the “true” father—whoever that may be—to step up, to do the right thing, and to marry the woman who is carrying his child. If the real father refuses to do that, however, Joseph is still protecting Mary from shame—and, possibly, execution—since adultery was a capital offense under the Law of Moses, even if it wasn’t enforced very often. Still, how does “divorcing Mary quietly” protect Mary from shame? Let me explain: Ordinarily, a man in Joseph’s position would want to protect his own reputation by publicly accusing his fiancée of infidelity, and this would be the grounds for divorce. By “divorcing her quietly”—therefore, not accusing Mary of wrongdoing—people would assume that Joseph was the father; yet for whatever reason he was unwilling to marry her. Does Joseph’s character and behavior remind you of anyone? If so, you won’t be surprised why God chose Joseph to be earthly father to God’s Son Jesus! This entry was posted on	December 12, 2017 at 3:09 pm	and is filed under Uncategorized.